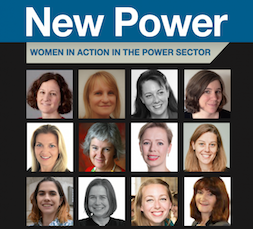 New Power is a specialist report for anyone with an interest in the UK energy industry. We look in-depth at all the issues that have to be addressed to rebuild our industry – moving from a our centralised high-carbon power system to one that will provide heat and power securely, affordably and with minimal carbon dioxide emissions. Why do you need New Power? The UK energy sector is beginning unprecedented change. Over the next 20 years, more than 40GW of power generation capacity must be built to replace our ageing fossil fuelled and nuclear power stations. It is estimated that more than £100 billion will be spent on plant and related infrastructure – faster build-out than ever before. Our in-depth analysis, news and industry tracking data is your key to unlock this complex and fast-changing industry. NextEnergy Solar Fund limited has bought three operating solar PV plants for £61.7 million. It now owns the 20.4MW Fenland plant and 24.8MW Green End plant, both in Cambridgeshire; and the 8.1MW Tower Hill solar farm in Gloucestershire. The three plants are grid-connected and receive 1.4ROCs/MWh under the Renewable Obligation Certificate regime. The plants were built by Hanwha Q Cells. NextEnergy now owns 28 assets with a generating capacity of 329MW and an investment value of £382 million. Subscribers: Search our continuously updated database of 1500 power projects in operation and in the development pipeline in the UK and Ireland. Karma Loveday on Reader question: What lessons should we learn about public or social ownership from previous experience? Dr Tony West on Reader question: Where do you think the opportunity for public ownership exists in energy, and where might it be beneficial? Copyright © 2019 New Power. All Rights Reserved.